“War Horse,” the uplifting National Theatre production about a boy and his horse at the dawn of World War I, will end its Broadway run on Jan. 6, 2013. At its closing, the production will have played 718 performances at Lincoln Center’s Vivian Beaumont Theater, making it the longest-running Tony-winning Best Play of the last decade. In addition to New York, “War Horse” has major productions running in London, Toronto, and a newly launched U.S. national tour, which will visit 30 cities in the 2012-2013 season. 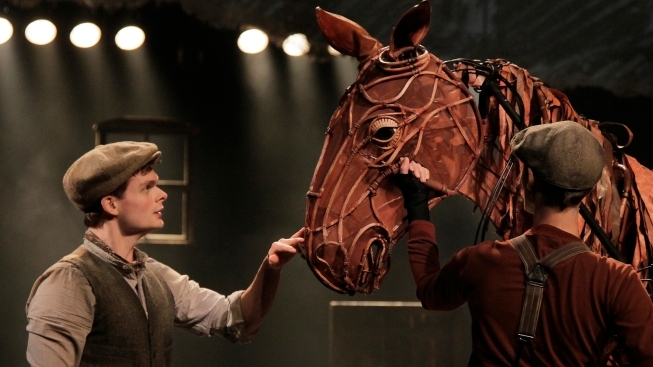 At the heart of “War Horse” are life-sized puppets which bring breathing, galloping horses to life on stage. For its novel presentation, the production was awarded five Tonys, including a special statue for the Handspring Puppet Company, which created the equestrian characters. Michael Morpurgo’s novel, “War Horse,” was also the inspiration for Steven Spielberg’s recent film, which was nominated for six Academy Awards. There are some great production photos at the Lincoln Center Theater’s site here. The National Theatre’s official trailer for the stage production is below.